I live in Australia. 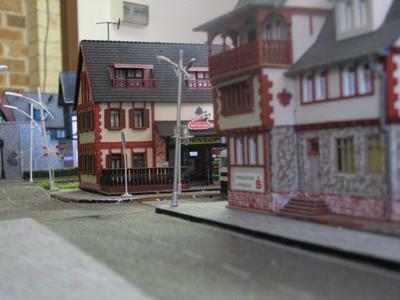 I first became interested in Model Trains when i received a layout made by my Father for Xmas when I was 7 years old. 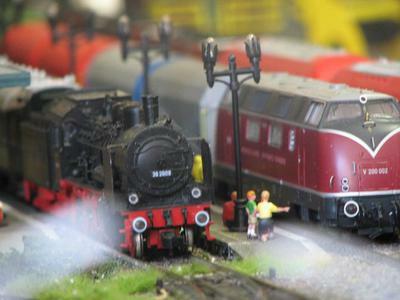 My passion for Model Trains grow as I grew, over the years I have constructed 2 model layouts, the first and original received over 4 face lifts / extensions and was sold when I moved home. It was a number of years 'till I was able to create another board for my own son, but unfortunately, he did not share the same interest or passion, so the project became mine. The pictures that you see are only samples of a layout that measure the size of a single garage (7M X 4M ). 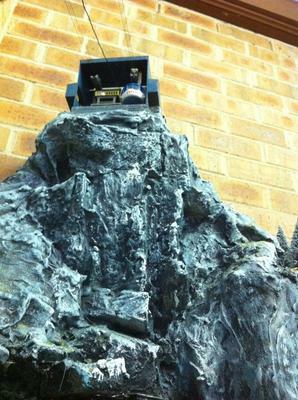 This layout is composed of DCC and sound technology, eccentric points and night time lighting. It was able to run 4 Trains in motion and 7 in stand by. Unfortunately, the layout was disassembled and sold off after separation. My interest now is in the American Power locos. I will endeaver to construct another layout in the future of even larger size or even show. 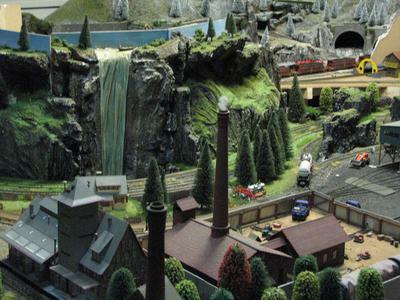 I have a dream to construct a layout to be of equal size of the Miniature Wunderland in Berlin, but getting people involved is the hardest along with funding.